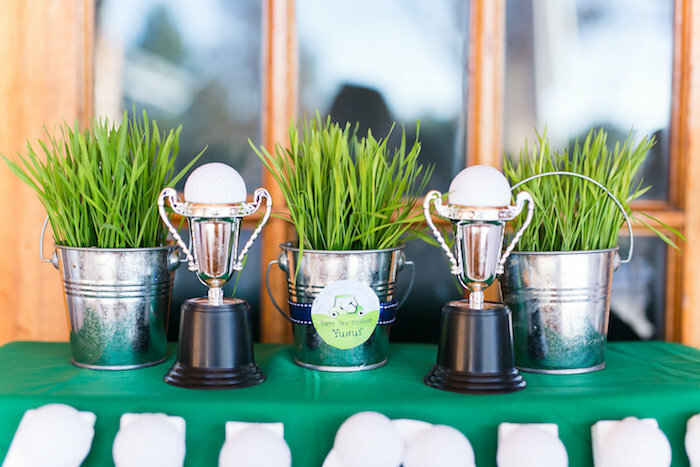 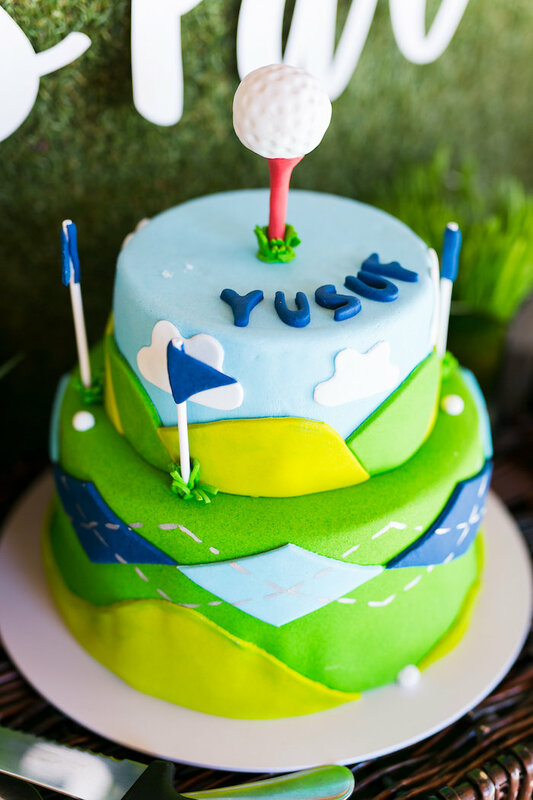 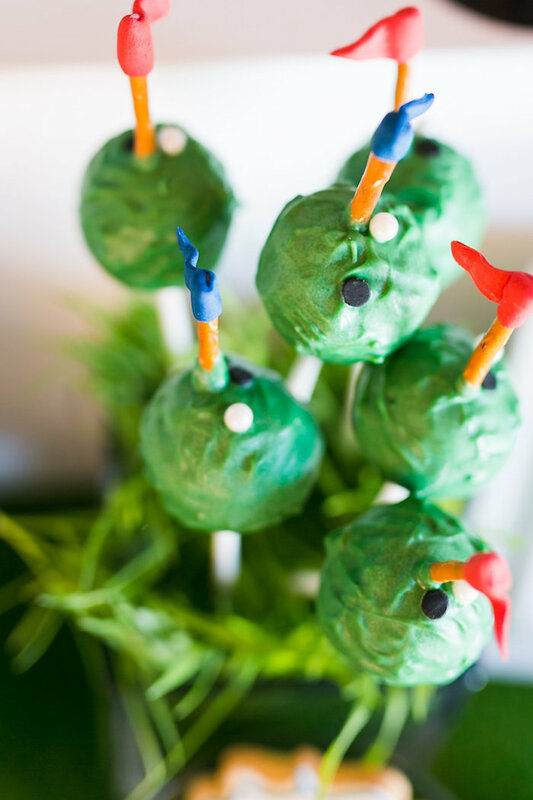 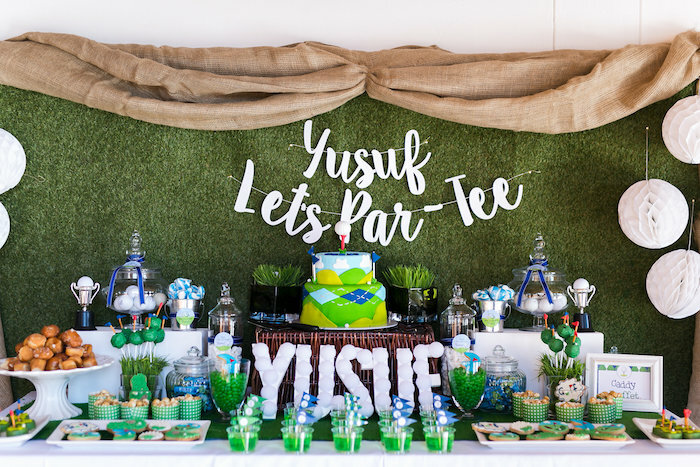 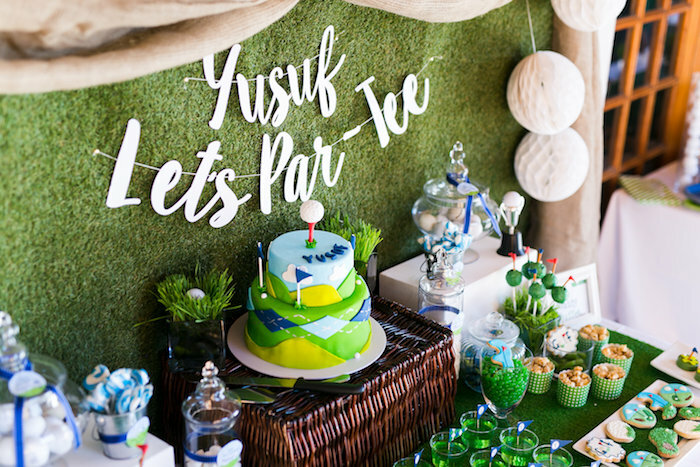 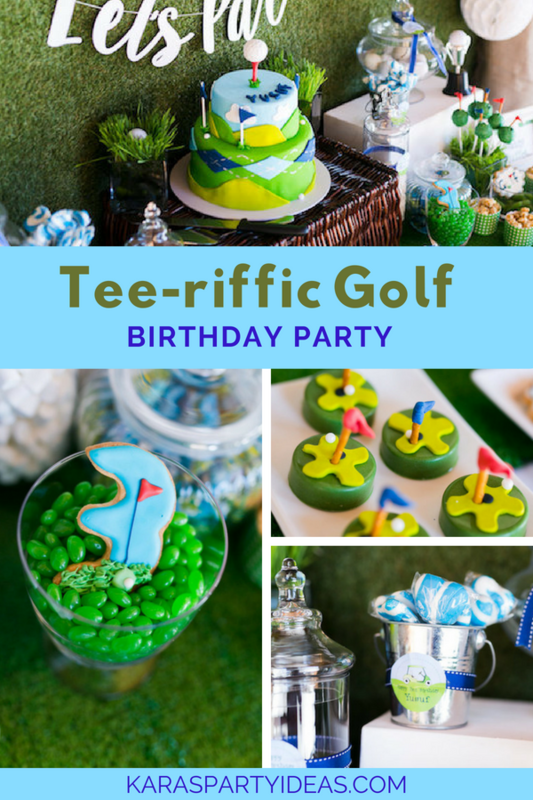 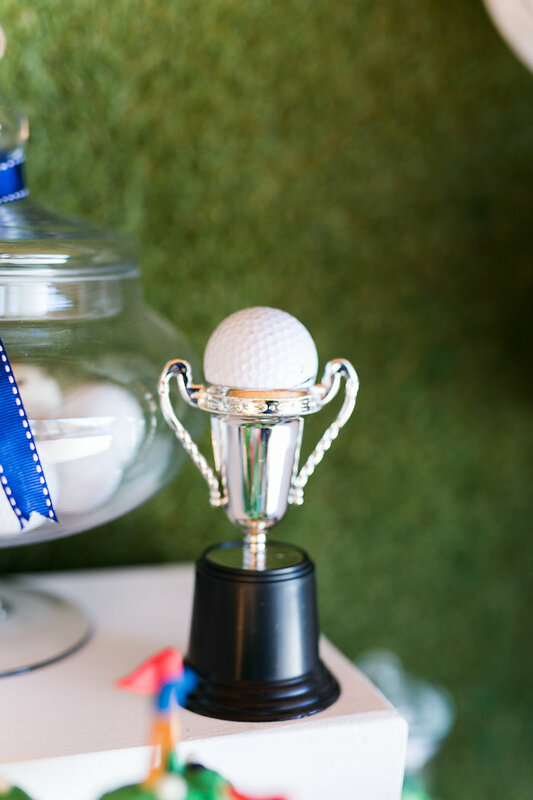 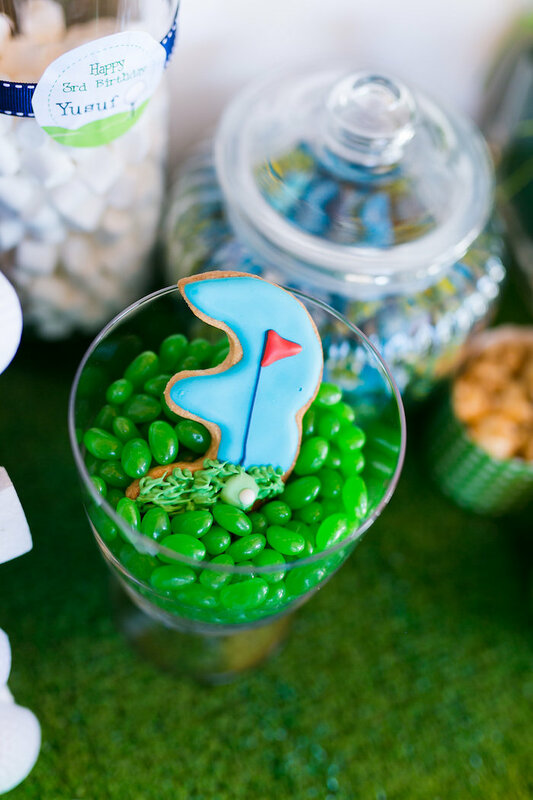 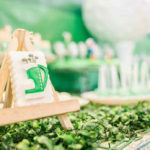 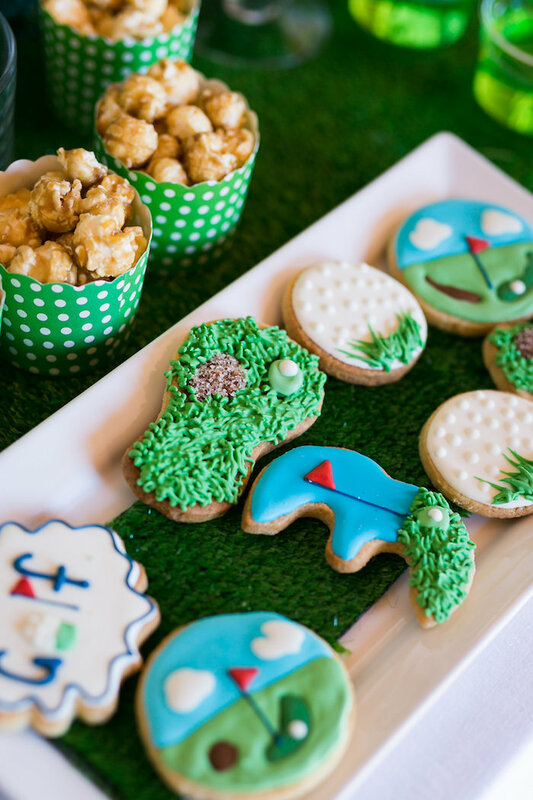 Call your caddy and come along, this Tee-riffic Golf Birthday Party is swinging on! 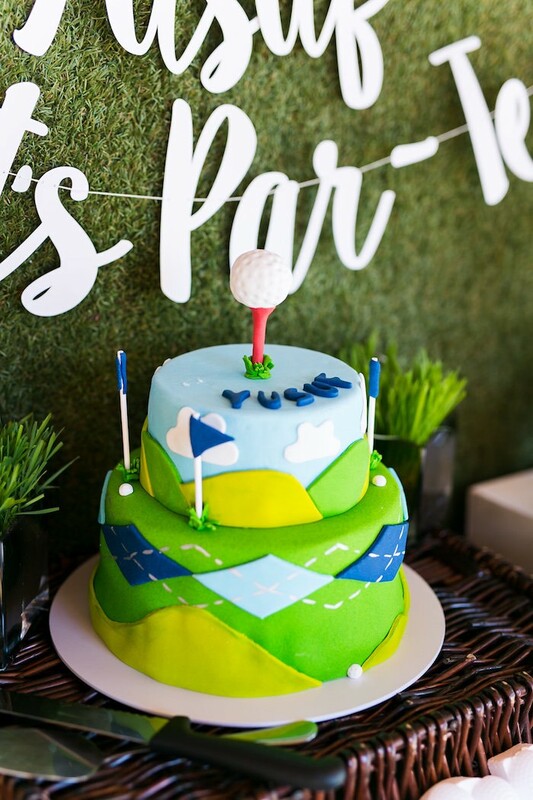 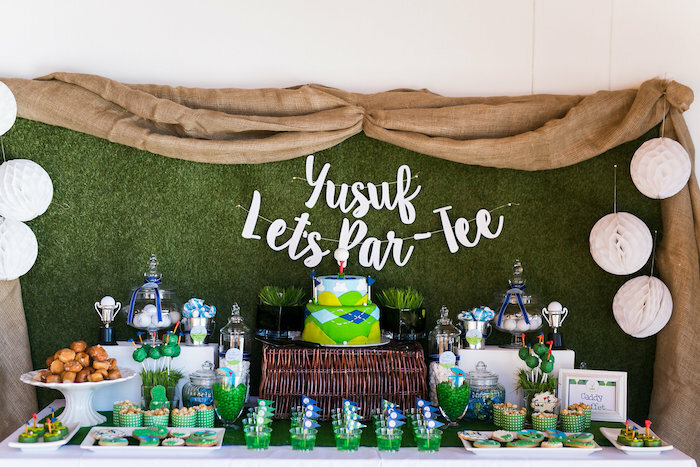 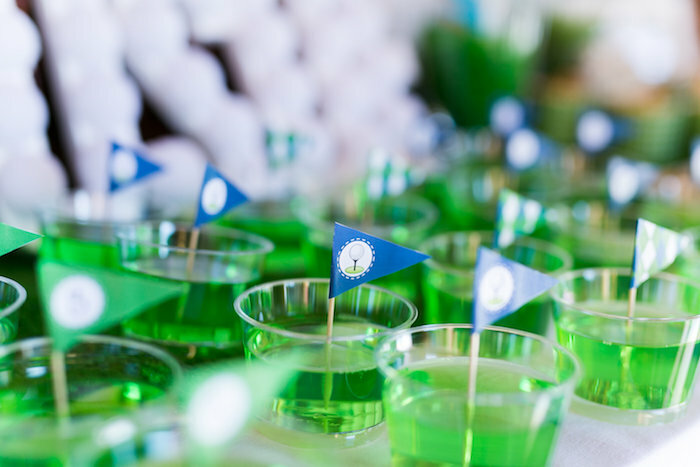 Flagged with details custom and cute, this party by Rebecca Badrodin of In These Stilettos, out of Johannesburg, South Africa, is a hole in one! 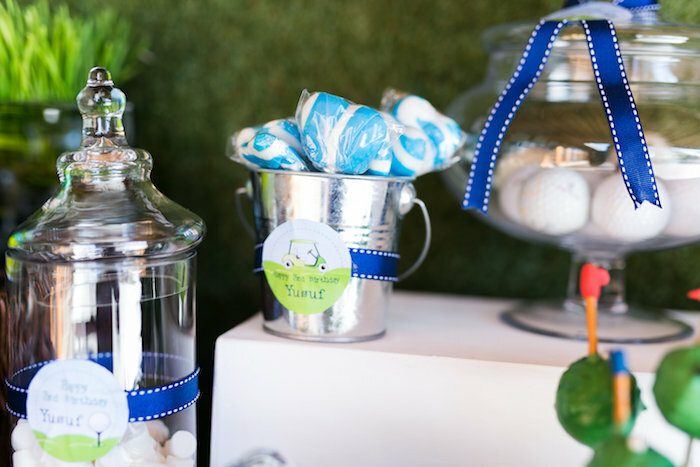 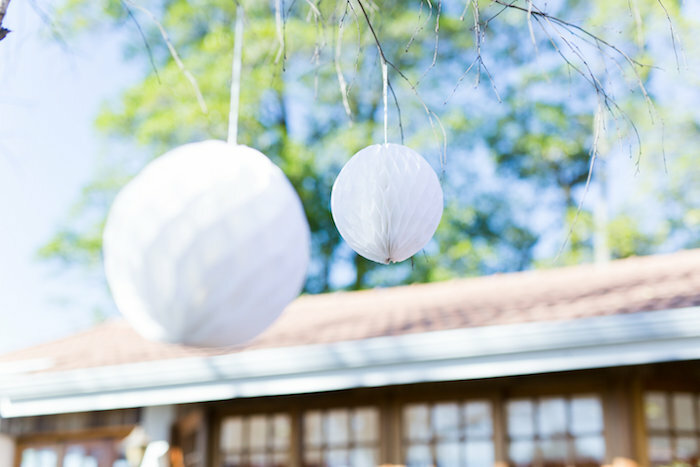 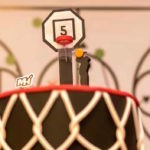 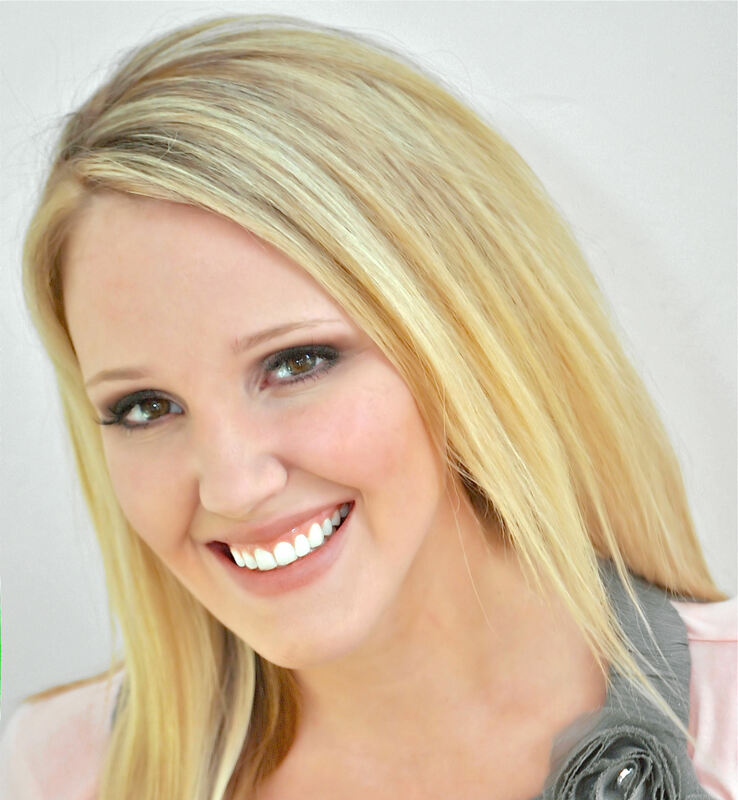 Rebecca’s party snippet- “I try my hardest to steer away from sweet filled party packs. 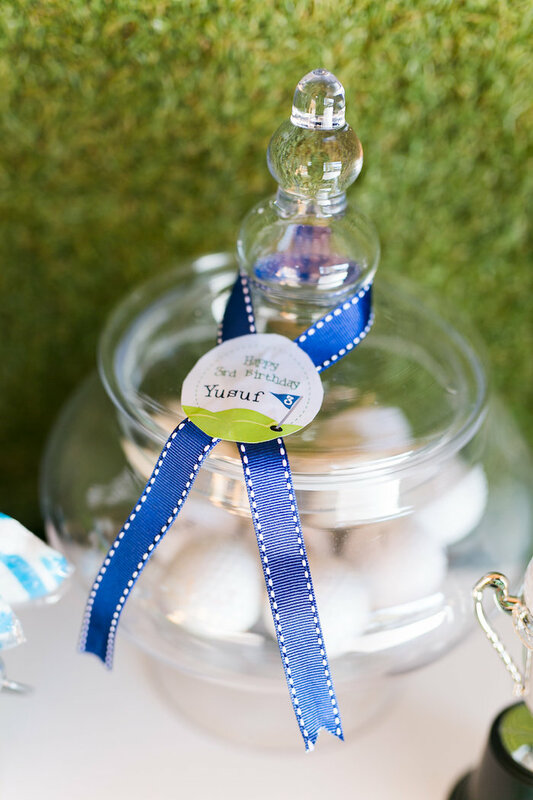 Though I always have a few empty sweet bags to fill at our parties (mainly for mum and dad), I try the kiddos non-sweet favours. 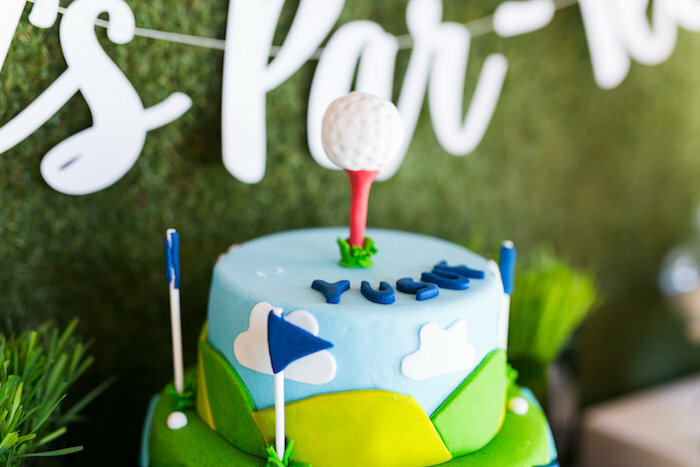 I got some plastic golf clubs and balls from China Mall and made them our favours. 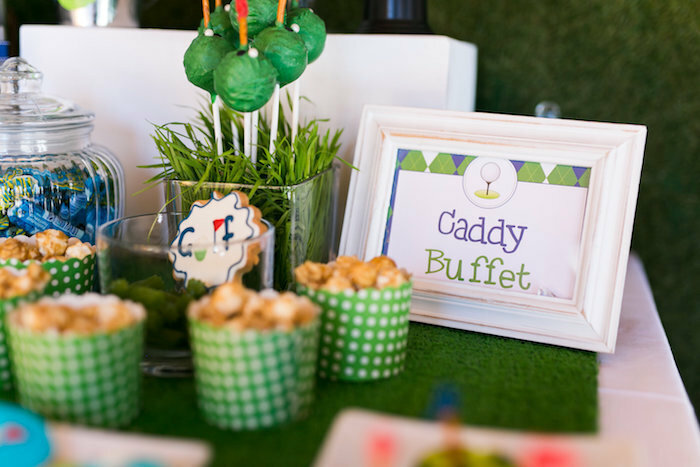 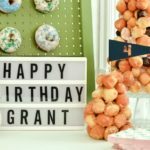 Food included the Fruit PAR-faits, Caprese Tee’s, HOLE IN ONE Doughnuts and Jelly filled greens. 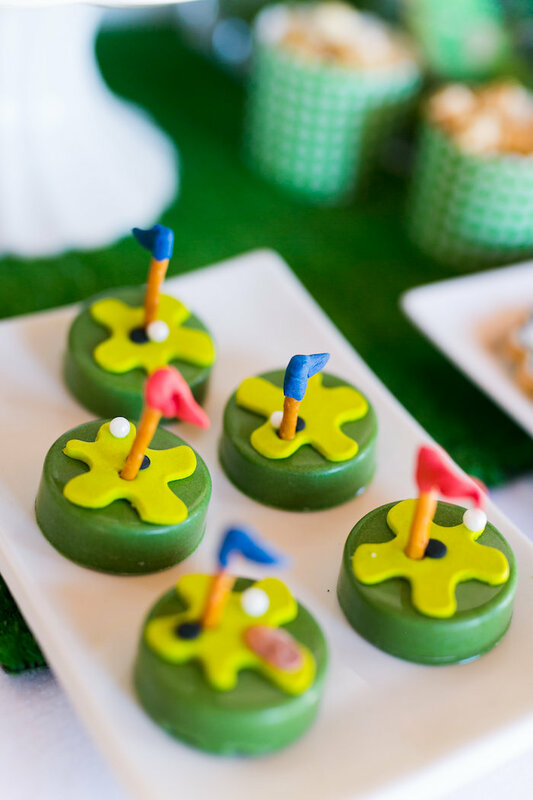 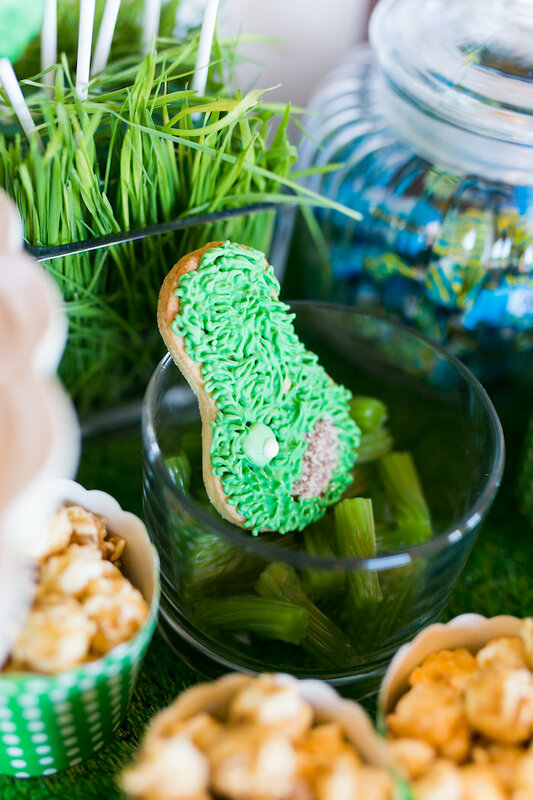 Chocolate covered Oreos made the cutest putting greens. 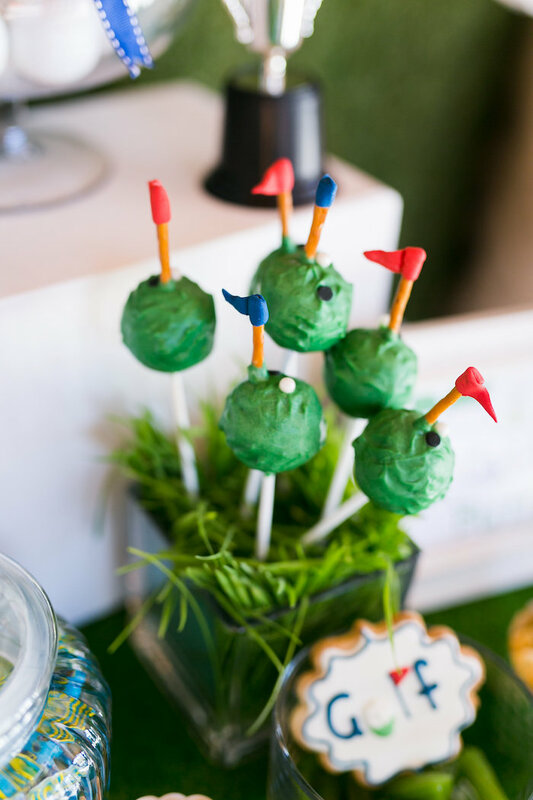 Golf tee’s make great fruit skewers! 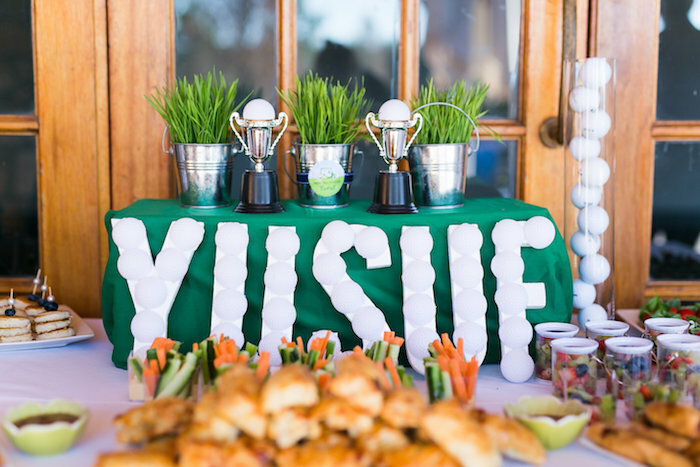 I used plain wooden tee’s to serve fruit and a mini Caprese salad.